Yoga and Ayurveda have long been linked together and share a common purpose of bringing harmony to the body, mind and Spirit. In this 20-hour, Yoga Alliance certified training, you’ll learn how to weave Ayurveda into your teaching and personal practice. 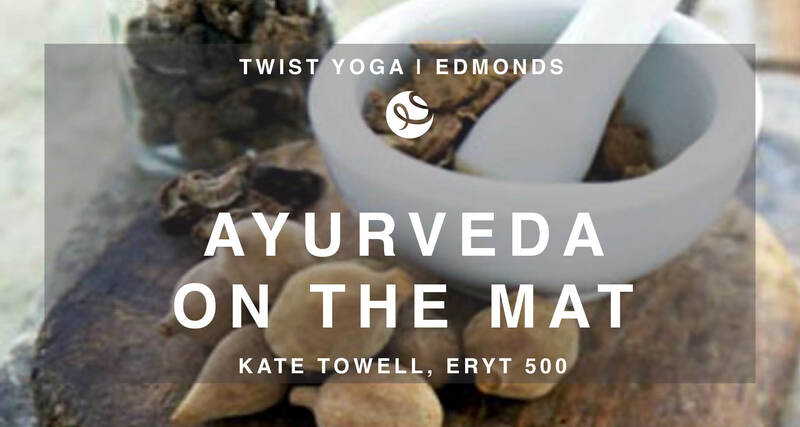 Join Ayurvedic Wellness Counselor Kate Towell to explore Ayurveda on Your Mat in depth. 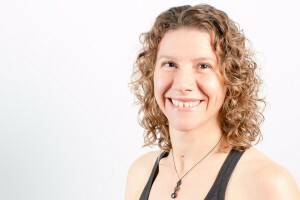 Kate created this training based on her own personal and powerful experience integrating her passion for yoga and Ayurveda. This weekend is not your same old Ayurvedic training. Kate has a unique and innovative way of teaching Ayurveda. While we will briefly review the main principles of Ayurveda, the majority of the course will be dedicated to diving deep into Ayurveda as yoga therapy. We will discuss diagnostic techniques beyond the dosha quiz – including alignment assessment and, as time allows, pulse and tongue readings. We’ll also study asana, pranayama, mantra and meditation for balancing each dosha in depth. You will learn appropriate sequencing for all doshas, seasons, time of day and time of life. This weekend will be fun and interactive. Through asana practice, lecture, direct experience, practice teaching and feedback, you will gain with the ability to confidently find ways to use these transformative concepts in your own practice or impart them to your students. By the end of the weekend you will feel confident in the skill of diagnosing an individual’s imbalances, as well as gain increased skills in developing a yoga class or personalized sequence for each dosha, season and time of day. Putting it all together: how to bring what we learned into any class, private sessions and your own practice. Training Schedule: Friday: Noon–5pm (Richmond Beach Studio). Saturday: 11:05-7:30 (Downtown Edmonds). Sunday: 11:45-4:15 (Downtown Edmonds). Recommended Reading: Yoga for your Type, by David Frawley. Yoga and Ayurveda, by David Frawley is also recommended. Tuition: $325 if registered by Jan 3. $385 after. Cancellation Policy: Refunds available, less a 15% administration fee, up to 14 days prior to workshop. No refunds, account credits or transfers allowable after that time.